Update at The Queen’s Head! Our gin collection seems to grow larger by the day, and we’re delighted to welcome the splendid Boadicea Gin to the bar as a permanent fixture. This wonderful gin from Norfolk has an extract of nettle infused in a nod to the first Warrior Queen of Iceni, Boadicea, and we’re loving it with a slice of fresh orange, some fresh thyme and an Elderflower Fever Tree tonic. 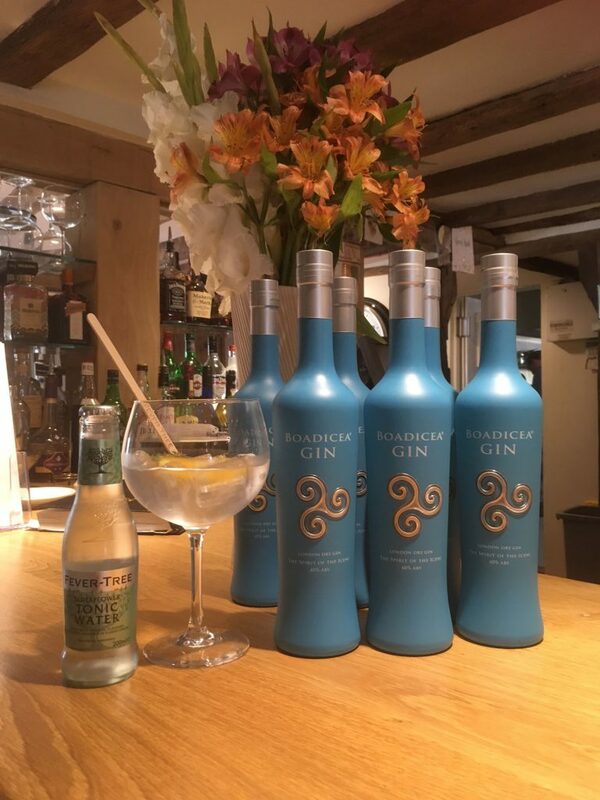 It’s the perfect gin for the pub, as The Queen’s Head in question belongs to Queen Boadicea! Staying on the bar, we’re pleased to now offer three real ales all year round, almost always from East Anglian brewers. In addition, the epic Giggler Dry Cider joins us also on handpull. 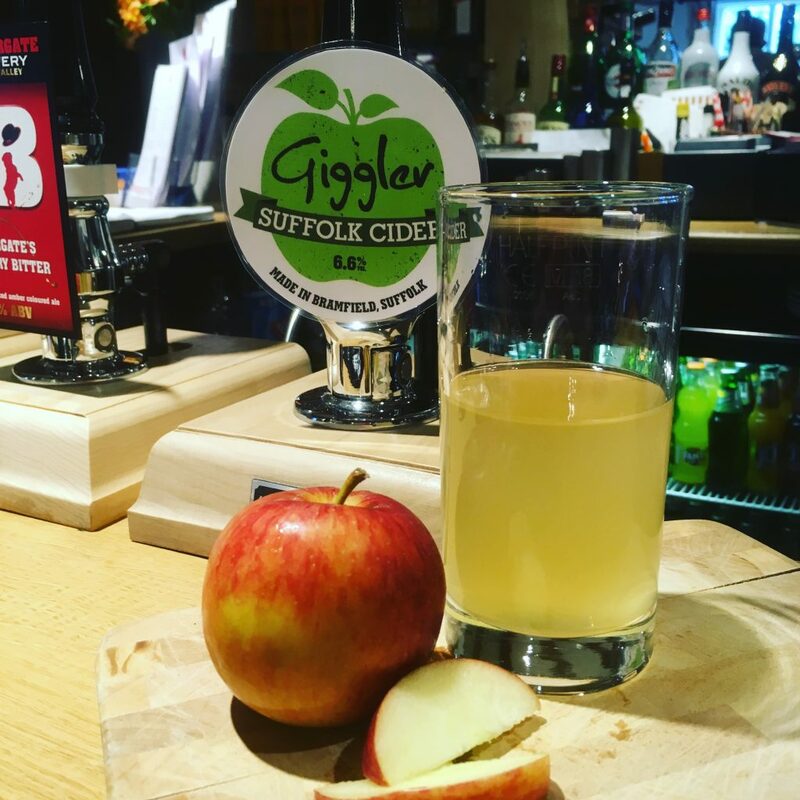 Giggler is made right here in Bramfield village by Tim with lots and love (and quite a few apples!) We also now stock the Red Label slightly sweeter variant in bottles at 6.5% abv. 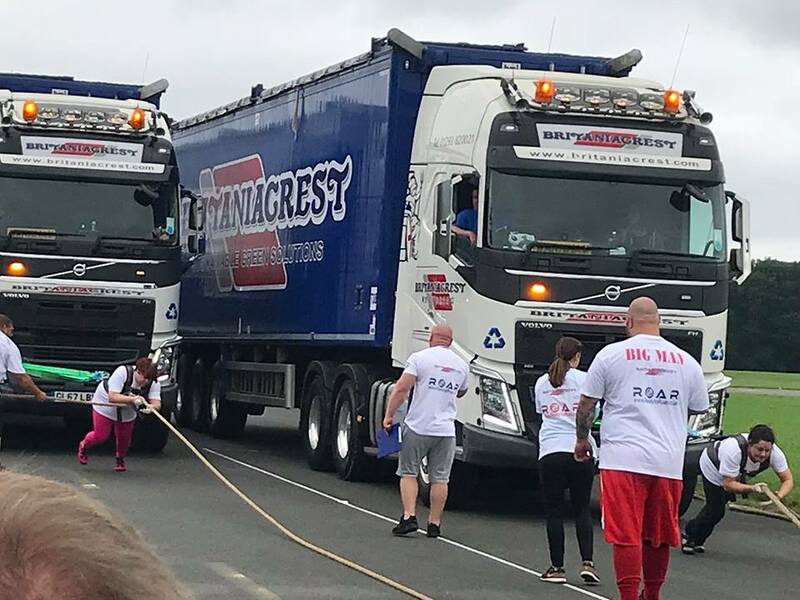 In other news, I’d like to extend a massive THANK YOU to everyone who sponsored me recently for my Lorry Pull. On Sunday 19th August, I drove to the Top Gear test track (Dunsfold Park in Surrey) to help raise funds for The Lucy Rayner Foundation. The challenge was to pull HGV’s and lorries for 20 metres. I pulled a 10.5 tonne dumper truck, followed by a 22.5 tonne articulated HGV (you can view the video here), and then attempted TWO HGV’s in tandem – an astonishing 45 tonnes in weight. The day raised over £7,000 for the foundation and everyone gave their everything, a wonderful testament to community spirit and determination. Finally, both Kev and I would like to say a hearty THANK YOU to everyone who’s joined us since opening 3 weeks ago – we can see already that Bramfield and its residents are wonderful people – thank you for making us feel so welcome and for supporting your village pub; here’s to many happy years in Bramfield!